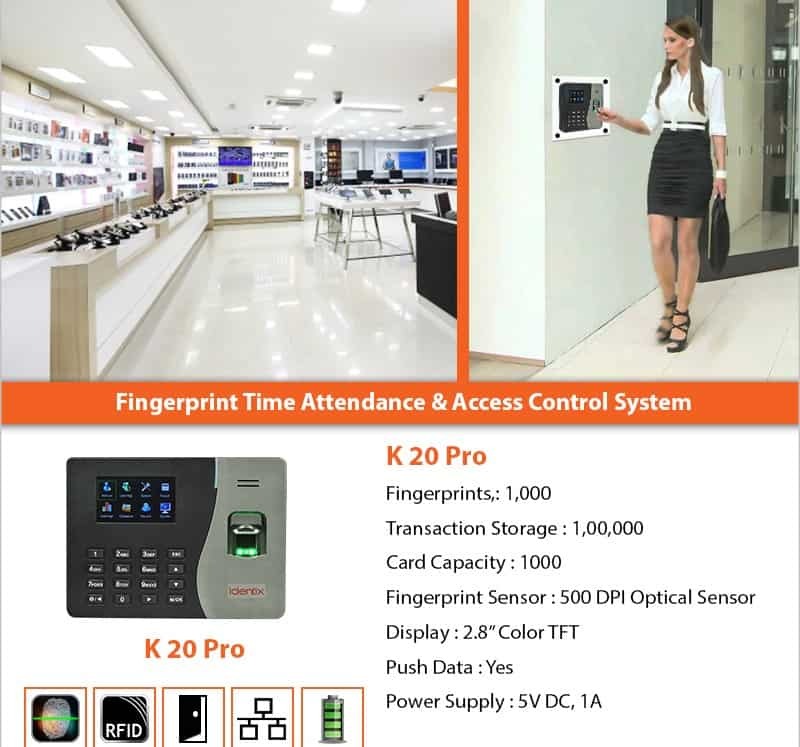 Identix K20 Pro+ID+B Essl an attendance system is another new addition to the product line of Identix Security. It can be put on the network using TCP/IP. Also, its USB feature makes data transfer method more convenient. Easy to use, an ideal device for small and medium enterprises. Attendance machines help in automation of attendance of the employees and can help in tracking the in and out time of employees total work duration, lunch breaks. 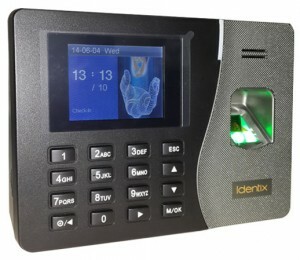 These are low cost and very durable time and attendance machines. These are low and best price attendance machine. Best time and attendance machine for all your needs. We are exporting these attendance machines all over the world. Monitor multiple locations from a centralized location. Want to know the price of attendance machine? Get the highest quality product for the lowest price. Please contact us now at 9315441078 WhatsApp 9315441053, 9818390836 or write us at info@ampletrails.com to get time and attendance machine and know its price. Get the machine installed in NCR, Mumbai, Navi Mumbai, Delhi, Ghaziabad, Chennai, Hyderabad, Mohali, Kochi, Ahmadabad, Kolkata, Bhopal, Faridabad, Rohtak, Noida, Jhajjar, Sonipat, Panipat, Kernal and at many more places. These are best machines for companies, offices, schools, colleges, institutes, factories, software companies. 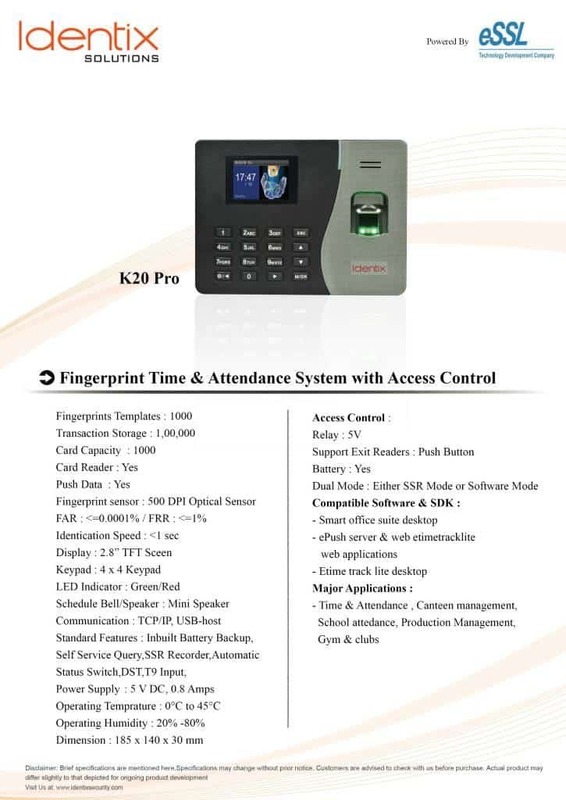 Get the best highest quality attendance machine of this planet with so many features for so low price. Contact us now to know the details of attendance machines.